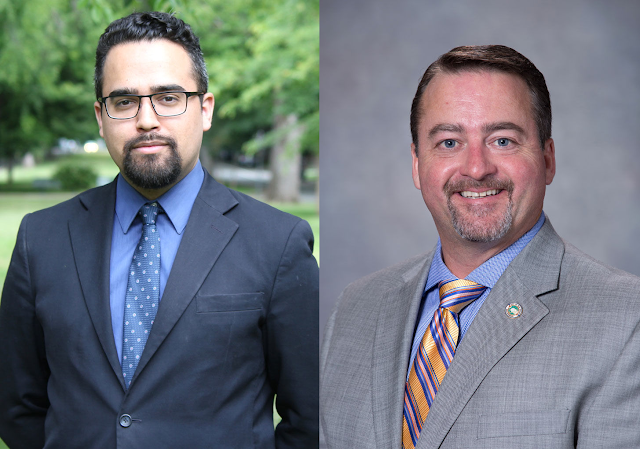 Although Elk Grove City Council three-term incumbent Pat Hume outpaced his opponent in fundraising, first-time candidate Andres' Ramos showed his ability to raise funds in a relatively short time. In California Form 460 financial disclosures forms filed with the Elk Grove City Clerks office last week Hume reported $26,500 in fundraising for the period between July 1 and September 22. For the entire year, Hume has generated $55,086 in contributions, of which $686 were in-kind donations. The largest donations Hume received came Kelly Enterprises, $5,000; Pacific Coast Companies, $2,500; Associated Builder Contractors, NorCal Chapter, $2,500; and Committee for Home Ownership, Northstate Builders Industry Association, $2,000; and California Apartment Association, $2,500. Hume ended the period with $110,472 on hand and recorded expenses during the period of $27,900. An examination of Hume's costs, which included $10,000 in campaign consulting fees paid to TAB Communications, revealed portions of his reelection strategy. Among those expenses were the inclusion on eight so-called slate mailers. Those mailers and the costs for the mailer has included himself on included California Republican Taxpayer's Association, $998; California Voter Guide, $315; Budget Watchdog's Newsletter, $2,672; Election Digest, $1,410; CalSal Voter Guide, $927; California Voter Guide, $391; Election Digest, $969; and COPS Voterguide, $2,825. Ramos, who was a relatively late entry into the race, filed his first report for the year for the period between January 1 and September 22. During this time frame, Ramos generated $9,227 in cash, which included a personal loan from Ramos to his campaign for $1,500. While most of Ramos' donations were from individuals, he did receive contributions from Democratic organizations. Those donations included the Elk Grove-South County Democratic Club, $300; Wellstone Progressive Democrats of Sacramento, $1,000; Women Democrats of Sacramento County, $200; and Harry S. Truman Club, $1,000. Additionally, Ramos received a donation of $500 from the Sacramento Central Labor Council. Although Ramos lags Hume's fundraising, labor and party activist have traditionally assisted their candidate in precinct walks and get-out-the-vote operations.